Relish the delicious taste of good health. 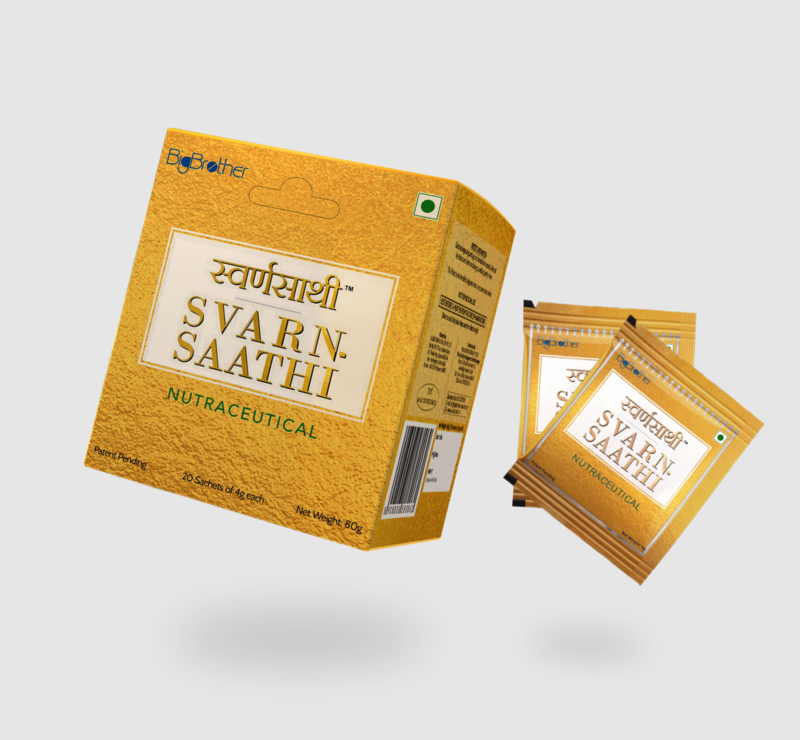 Designed to provide a protective shield, especially against cancers of the mouth & throat, and also to help prevent other chronic diseases SvarnSaathi is a unique nutraceutical product that you can enjoy on the go, ensuring overall well-being. Pamper your taste buds while you get benefitted from its enormous healthy qualities. 1 unit contains 20 small sachets of SvarnSaathi weighing 4 gm each.